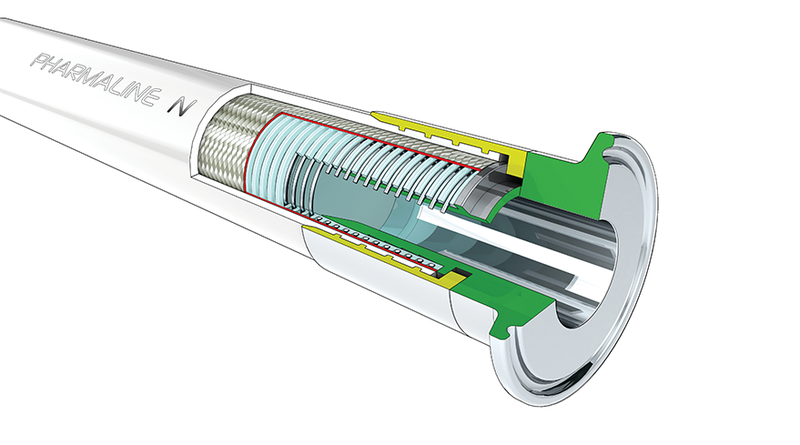 Pharmaline N and X hoses are designed to replace conventional silicone rubber hoses in pharmaceutical, chemical and food process fluid transfer applications where the silicone rubber hose does not perform in accordance with the application requirements. This may be due to a requirement for improved autoclave life cycle performance, or improved chemical resistance, or improved internal cleanability. Whatever the conditions, Pharmaline hoses provide the solution.